The admission is an about face from his answer more than two years ago when the letter was released and answers one of the lingering questions about the last presidential election. The letter thrust the eccentric Bornstein, with his shoulder-length hair and round eyeglasses, into public view. The White House didn't respond to a request for comment about Bornstein's claim. 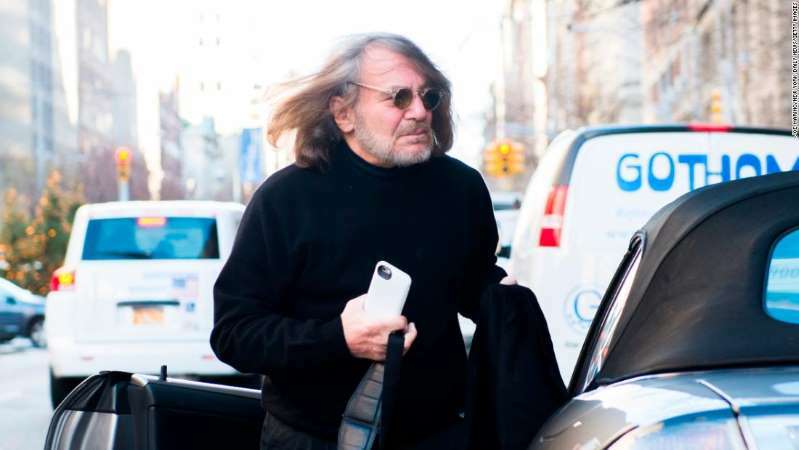 Later, as questions mounted over the health both of Trump and his rival Hillary Clinton, Bornstein offered a more businesslike assessment, listing things such as Trump's height, weight and prescription medications. He later told CNN's Drew Griffin he'd dashed off the first letter as he was seeing patients. "I was just rushed for time," he said in September 2016. "I had people to see." He insisted then that the words were his own. "Did I really write that letter? Yeah," he said. Now, as Bornstein re-enters the spotlight claiming Trump's ex-bodyguard Keith Schiller robbed his office when Schiller retrieved Trump's medical records, the story behind the letter is becoming clearer. "That's black humor, that letter. That's my sense of humor," he said. "It's like the movie 'Fargo': It takes the truth and moves it in a different direction." "(Trump) dictated the letter and I would tell him what he couldn't put in there," he said. "They came to pick up their letter at 4 o'clock or something."